You may recall the 'Anthrax Attack,' which caused all mail to Congress, the White House and nearly every other official destination, to be redirected to the Dulles Mail Facility. This ended for most of the government after Obama was inaugurated. But for Congress, this practice continues. to this day. Can representatives be effective if they cannot receive communications from their constituents? No. Town Hall Forums are great, but the time is too short to consider anything in depth. Congressional Clearing House has solved this problem by becoming the place Americans post their communications with their Congressfolk. Congressfolk, with complete safety, can then see everything constituents want them to see. And so can other Americans. 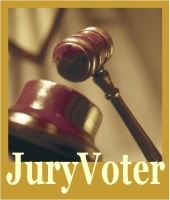 While some correspondence is personal, and would not be included, at the sender's preference, many constituents would be glad to share their opinions and information with people both inside, and outside the district. If there is an issue your Congressperson is your direct representative to the Federal Government. S/He needs to receive your mail, and related materials. Then, s/he needs to communicate with you. That means the Congressperson, not a hired staffer. The second question presented here is the size of Congressional Districts, which according to the Constitution was limited to 30,000 citizens. Here is the place to solve problems. 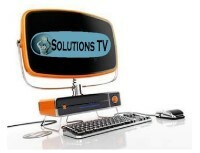 Experience tells us you can identify multiple solutions for any problem. 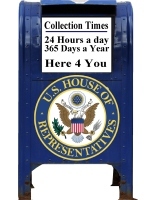 Below is one example of the impact of deliveries to the House of Representatives if not timely or complete. Representatives have increased their staffing to between 10 -25 staffers, but these are unelected when the intention was direct representation. Further, communications sent to the House of Representatives are first opened by young assistants and their contents are noted in one sentence. Pages of these notes are then viewed by staffers, who determine what their representative will see. Representative Dana Rohrabacher, California Congressional House District 48, serves on the House Committee on Foreign Affairs, and Chairs the House Sub-Committee on Science and Technology, and in 1998 created The Asteroid Danger Commission -- after Earth had been missed a few times without any astronomers looking for them, nor any defense discussed. In November of 2001 experts became aware of an asteroid threat. Dana knew the expert who uncovered the threat personally. Rep. Rohrabacher asked an updating notebook be delivered to him as a senior member of the House Committee on Science and Technology. Before the anthrax scare and 6 weeks before 9-11-01 it was no problem to communicate with pictures, charts, or emails about a comet calving into three pieces over the eastern seaboard. One melted down over New York City, another splashed off Delaware, and another broke windows in a ten-mile radius in Pennsylvania. Dana asked astronomers, and Congress asked NASA to find first the bigger than 1-kilometer Extinction Level Event (ELE) asteroids. In May 2000, Vice President Cheney had made a standing request to know from this same expert all about asteroids, and all about the British reaction to a 15-mile diameter asteroid Matihilde narrowly missing the Earth and Moon, as the Brits too had created an Asteroid Danger Review Board concerned for their little island. In 2001 through 2004 important warnings were attempted to be sent to the Vice President and copies to Congressman Rohrabacher from the expert, and relaying warnings from the UK's Comet & Asteroid Information Network (CAIN). Congressional staffers used ot open the mail and were believed to be getting combat pay to do so. "To VP Cheney at his request." There was also a letter, succinctly explaining, the need to take action on asteroid 1998 OX4, presumed to be following Earth's path after changing course twice and sling-shotting around Mars and Venus. Its expected time of impact on Earth was then estimated to be September, 2004, only it had become lost and all telescopes needed to find it. This package was recorded by a young assistant at the Dulles Mail Sorting Facility for Congress. The one-line notation made by the young assistant was: "Rock may hit Earth." and placed in long lines of correspondence summaries to be emailed to staffers scrolling through them cross-eyed.It took a month of inquiries to relocate it for VP Cheney. That was one month of 9 the asteroid hunt went on, that was lost time. Copies to Rohrabacher and Mitchell had the same fate, their cases were never found nor delivered. It is assumed they are sitting next to Indiana Jones' boxed Ark of the Covenant in a federal warehouse somewhere to this day. Unless they burn our physical correspondence. Further, the ability to communicate with Congresspersons or staffers by email were curtailed in the name of cyber-security limiting emails at first to 2GB for a picture, and then to just texting like on an old cellphone or pager. No thought of the Congress decapitating itself from the American people was given then or now. Our leaders don't know what's going on because we can't tell them. President Trump's Twitter account, notwithstanding what is tweeted, at least provides a measure of the man. Better to know. The Obama White House and Supreme Court made other arrangements besides the Dulles facility to get papers. Congress has not. Hillary Clinton did her own end run around security protocol to know what was going on and issue orders. Yet then the rest of the world could know too. Snowden did us all a favor by informing us of the National Security Agency surveillance state knows all and sees all, shile we know nothing and see nothing. Timely delivery of correspondence as knowledge is essential, but for sixteen years, the House of Representatives has ignored this issue of how to have a second internet. The military has two internets for this same reason, open and confidential. The problem of death and destruction from space is also a problem, One the House of Representatives is tasked itself to solve before cyber-anthrax paranoia paralyzed them with fear. No action has been taken because little knowledge in modern charts, animates, graphics, pictures, and videos are unknown to Congresspersons unless you beg a staffer for their home email that can let 25MB through their server. Brock d'Avignon texting a Team member about the danger of ignoring celestrial objects which could hit the Earth. During the weeks around 9-11 for the next 100 even-numbered election years, 1998OX4 "Oxymoron" (as in asteroid defense) usually chases and overtakes Earth in our own orbit within a range of 10,309,594 miles between us until we diverge. NASA's analyst placed it first missing us by 89M miles, The expert phoned the White House on Christmas Eve 2003 informing Dr. Lynne Cheney it would miss us. NASA got it wrong as it actually missed us by 5.9M miles. More private observations have been made in the years since. In 2004, Oxymoron's swing close by both Mars and Venus altered its course up & just enough to accelerate its speed into a possible rear-end collision with us before 18 OCT 04. But that won’t happen. Not because naysayers to doom said so in usual denial of reality, but simply because the z component luckily again went the other way and it will miss us comfortably. Whew, you say. It could have just as easily gone to the Devil takes the hindmost at dusk with 10,000 other asteroids discovered annually now. Normally, Oxymoron passes under the Earth and move onwards; however, with its acceleration, its course change courtesy of Mars and Venus, its vertical “z” component could have struck us anywhere from South Pole penguins to the Americans. Its future orbits will match the plane of Earth’s path and it will remain a megadeath threat. This is not an issue of ideology, but one of survival. It is also a opportunity to discuss 9/11's after mathematics in costs far greater than a few buildings. It is time to announce a Planetary Defense policy (public and insurance) with a benefit of wealth and accepted responsibility for re-navigating asteroids to our leaders. Why? Recall for 9 months we lost a deadly asteroid and every scientist in the Geophysical Union was talking about it. 1998 OX4 was relocated in 2003. Yet the Chair of the Asteroid Danger Commission never knew. He still wouldn't today except for a quick and easy way separate from house.gov computers. 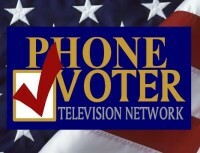 Now there is CongressionalClearinghouse.com, and on the show, now in development. Solve the problems, especially those which put us at risk. And if government is not competent to do the job, then remember you do not need them to solve problems. 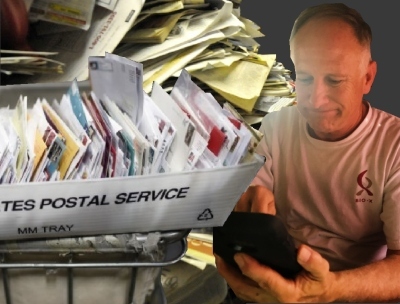 This is another problem, perhaps more complex than mail delivery. 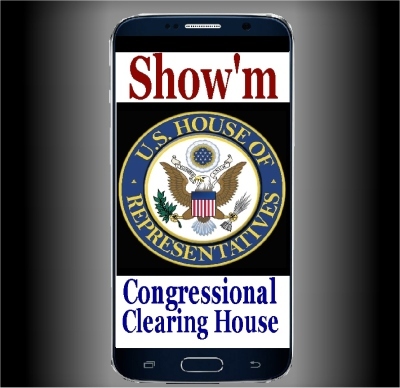 Sign up to receive updates for Congressional Clearing House! Along with signing up, answer two quick questions. Thanks! How can you trust a group of people unable to solve this problem in 16 years? Can't learn how to use Microsoft or Apple Office Products. How much can you trust a group of people who do not appear to view mega death and a possible extinction event as a problem? Updates include more on Space Defense and how we can solve these problems, by allowing people to choose for themselves and be accountable.